In the first quarter of the marketing year, NIBULON exported 1 411 330 t of commodities. It is the largest volume of agricultural products exported in the whole period of its activity, as compared to the similar periods of other years. The previous record was 1 399 570 t in the first quarter of 2015/16 MY. NIBULON demonstrated the highest result in August, having exported more than 530 000 t of grain. Wheat (47.3% or 668 257 t) prevails in the crop export structure among seven crops exported by NIBULON. The shares of barley and rapeseed are almost the same – about 18% of each crop. 16.6% (233 873 t) is the share of corn. It should be noted that despite the annual increase in the number of exporters, NIBULON manages to maintain its market share and leadership. It is testimony to a truly high level of competitiveness of the company. 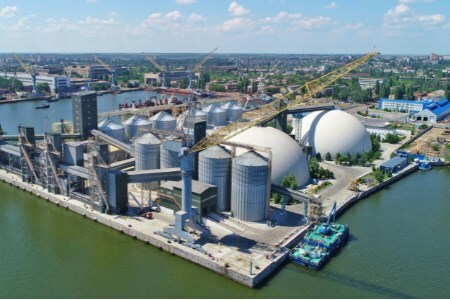 Also to note is the increase in volumes of river transportation to optimise the internal logistics as a step aimed at increasing Ukrainian agricultural products competitiveness in the global market. In particular, the last month of the summer was a record one in the company’s activities in terms of volume of agricultural products loaded for export by fleet (without calling at ports, directly in the roads) – almost 300 000 t. Thus, the company transported about 60% of grain for export by river transport and removed traffic loads from the country’s roads.